Is there anything more stressful and even frightening than having your car break down far from home? You will probably feel like a bundle of nerves and unsure of what you should do first but it’s important to remain calm. 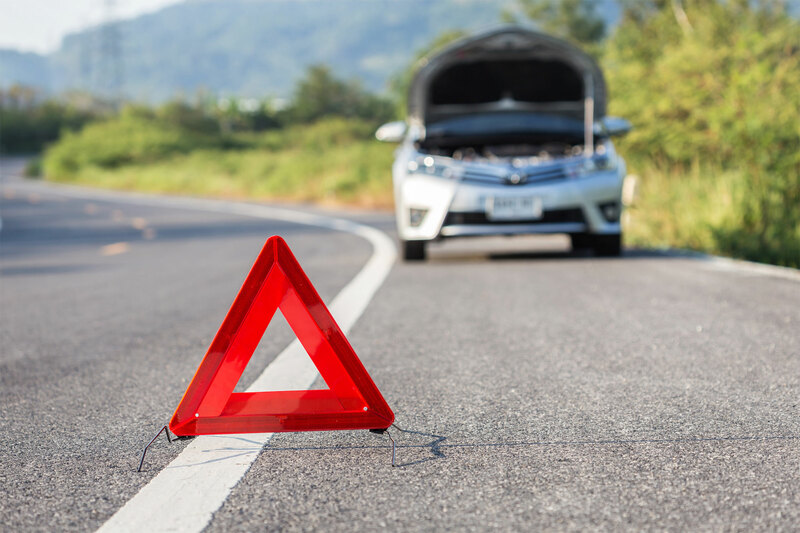 Here are the steps you should take to protect yourself and get your car off the road. If you can, pull onto the shoulder of the road as safely as you can and try to keep your car on level ground. Keep your hazard lights on and get out of the car only if it’s absolutely safe to do so. If you do leave your car, do not stand beside it. Note the location of your car such as the nearest exit or landmarks like restaurants because this will help when you call for assistance. In most cases, the safest place to be in inside your car with your seatbelt on. Motorists tend to steer toward what they’re look at, such as a car accident or broken down car ahead. Pedestrians are at the greatest risk of injury near the side of the road. Staying in your car can protect you if someone hits your car. This isn’t a good time to take a stab at repairing your car if you aren’t sure what’s wrong. Still, consider what may have happened and if it’s something you can address yourself. If you know you ran out of gas and can walk to a gas station, be careful when leaving your car and watch for traffic. If your car is smoking, you won’t want to stand next to it in case of fire. You should also assess weather conditions and traffic to determine if it’s safe to get out of the car. Do everything you can to safely make your vehicle as visible to other drivers as possible. Along with hazard lights, put down road flares or reflective triangles if you have them. You can also raise your hood as a cue that your car has broken down. The next step is to call for help. Depending on the circumstances, your first call may be to 911 or the police if you have been in an accident or you are hurt. From there, you will need to call for roadside assistance or a towing company. 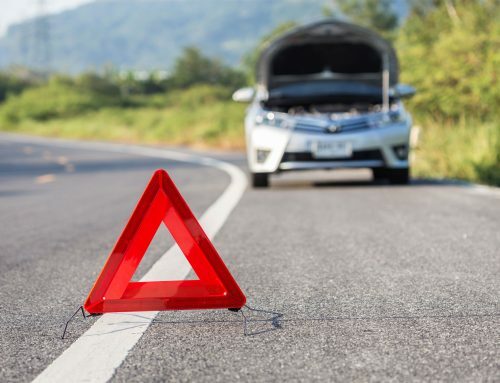 Roadside assistance is helpful if there’s an issue that can be repaired roadside such as you ran out of gas, your battery died, or you have a flat tire. Otherwise, you will need to call a tow truck to move your car from the road and take it to an auto shop. Whether you’re stranded on the side of the road, a parking lot, or just a friend’s house, you can count on Isabella’s Towing for fast response and honest pricing. Contact us for fast towing in Las Vegas and Henderson, NV.